I have shared my love of Robin Robinson (The Gorgonist) illustrations before on Cardigans and Cravats (you can find the previous post here) and today probably will not be the last. I just adore her work and her new line of jewelry is no exception. These are items captured in bottles. From pirate ships to magical creatures, they are all enchanting. 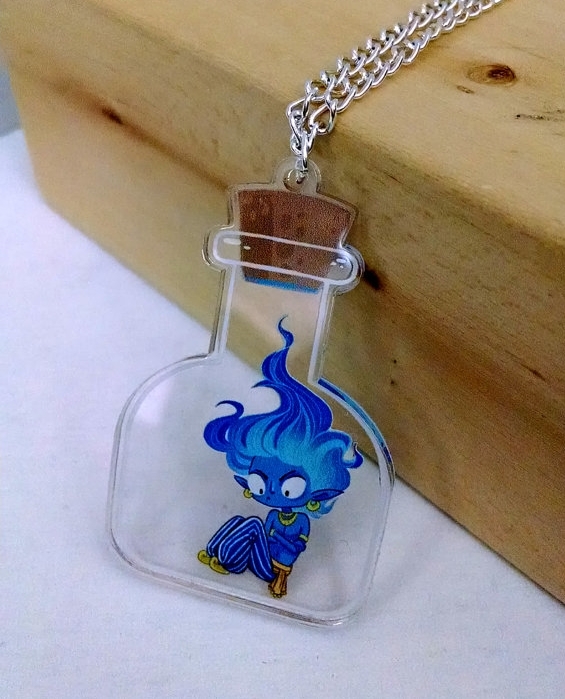 The necklaces are 2" long, laser-cut, printed acrylic charm was printed by InkIt Labs and designed/ made by The Gorgonist. The chain size varies from 18 to 24 inches. They each cost $20. 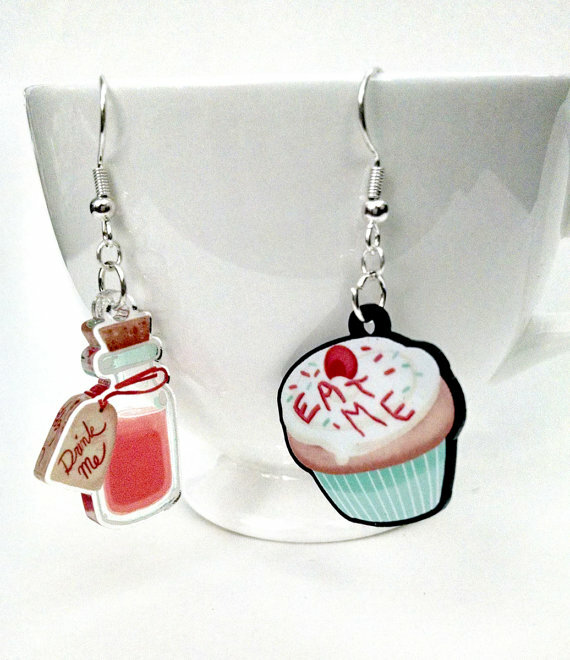 Her earring line is made in a similar way, though smaller. I think all of them are just charming and I hope you do too! 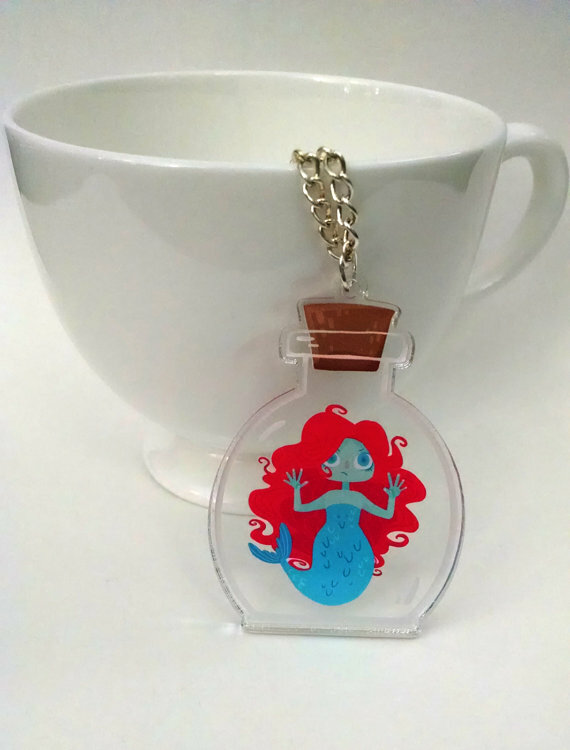 You can find all Robin's wonderful accessories, plus her incredible illustrated prints at her Etsy shop.